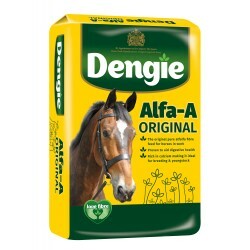 Low calorie feed suitable for horses that require a low sugar and starch diet due to easy weight gain. 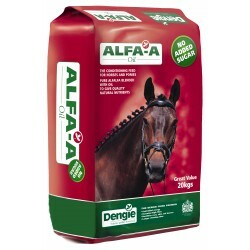 A High Fibre feed with quality nutrients for working horses and ponies. 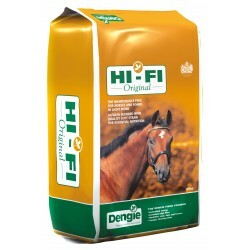 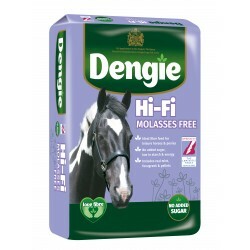 Dengie Hi-Fi Original is the original high-fibre maintenance feed for leisue horses and ponies. 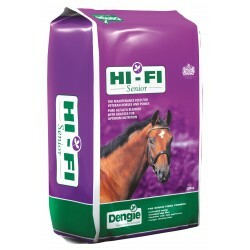 Dengie Hi-Fi Senior is is a highly digestible fibre feed suitable for all horses and ponies, particularly those with poor teeth. 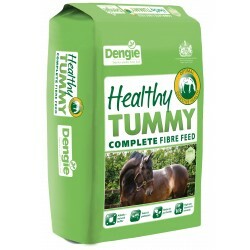 Dengie Healthy Tummy is a complete, high-calorie fibre feed containing the latest ingredients known to promote gut health including alfalfa.